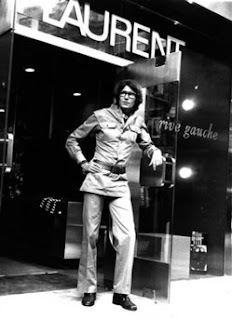 Yves Henri Donat Dave Mathieu-Saint-Laurent August 1, 1936 - June 1, 2008 Yves Saint Laurent began working for Christian Dior when he was 17. 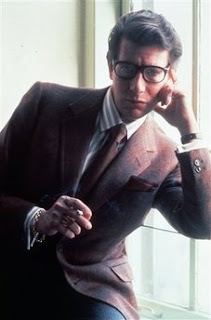 When Dior died suddenly in 1957, Saint Laurent was named head of the House of Dior at the age of 21. 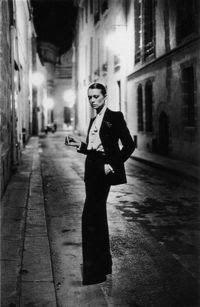 Yves Saint Laurent, was well known for femininizing the pantsuit back in the 60's. Le Smoking Suit of 1966, to be exact. YSL has branded the fashion industry with their presence, since the beginning and holds Stefano Pilati as the current Head Designer. Yves Saint Laurent is the first designer to have African American models on the runway.